ST. GEORGE — A single-vehicle crash on Brigham Road sent one driver to the hospital Friday afternoon. 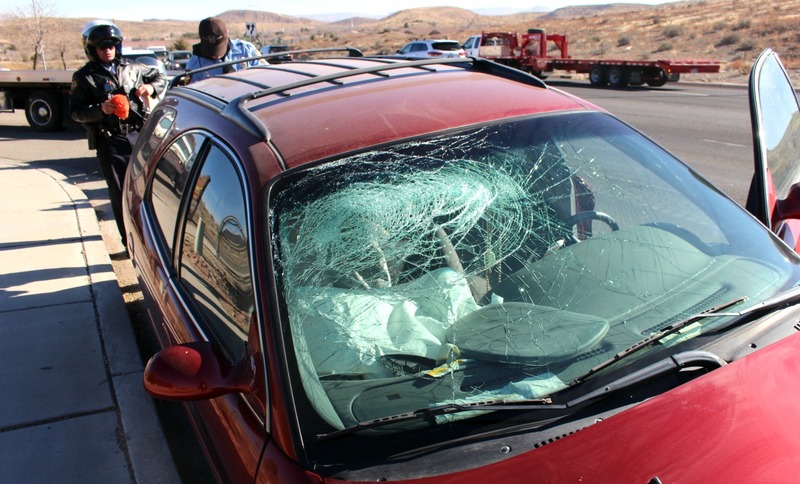 Just before 1 p.m. the St. George Emergency Communications Center dispatched emergency personnel after receiving a call reporting a crash involving a red Ford four-door passenger car that occurred on East Brigham Road near South Hidden Valley Drive. 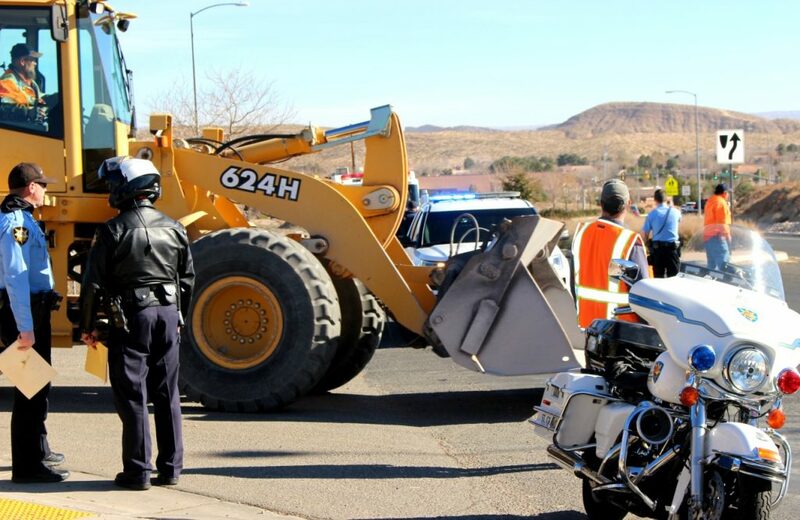 Once on scene officers observed a single-vehicle crash in which the Ford struck an object and then crashed into the curb to the right of the roadway, St. George Police Officer Andy Mickelson said. The woman driving the Ford was injured in the crash and was transported by ambulance to Dixie Regional Medical Center for evaluation and treatment. 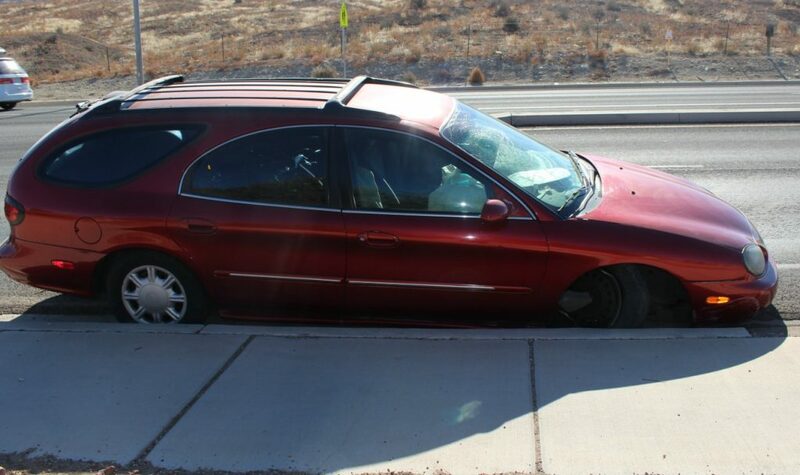 The woman was heading west on East Brigham Road in the outside lane when the car veered to the right and possibly struck the curb or a large rock located near the curb then continued on for about 20 more feet until coming to a stop. 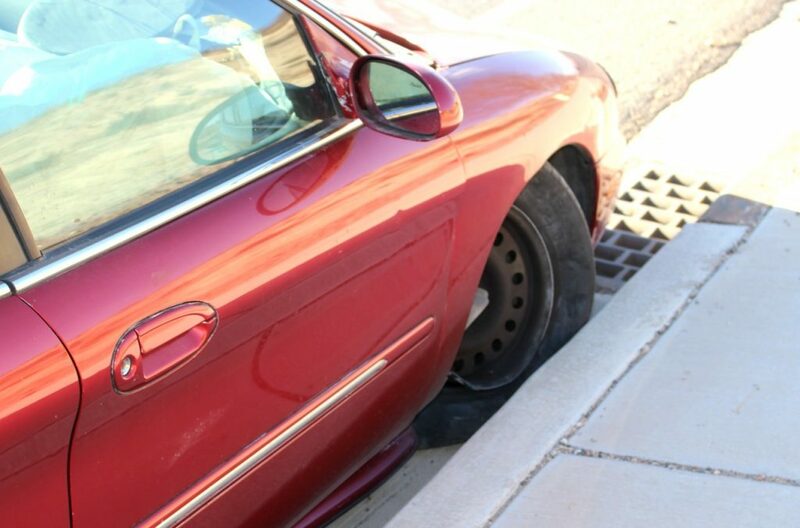 The front passenger’s side wheel was severely damaged in the crash and appeared to have been separated from the axle. The initial impact deployed the airbags. At the moment the passenger’s side airbag deployed, the cover was blown upwards, sending it directly into the windshield, which shattered the upper section of it, witnesses at the scene said. According to EMS World, the passenger side airbag or its cover may crack the windshield during deployment. The driver was not able to tell officers exactly what happened before being transported to the hospital, so further details were unavailable at the scene.